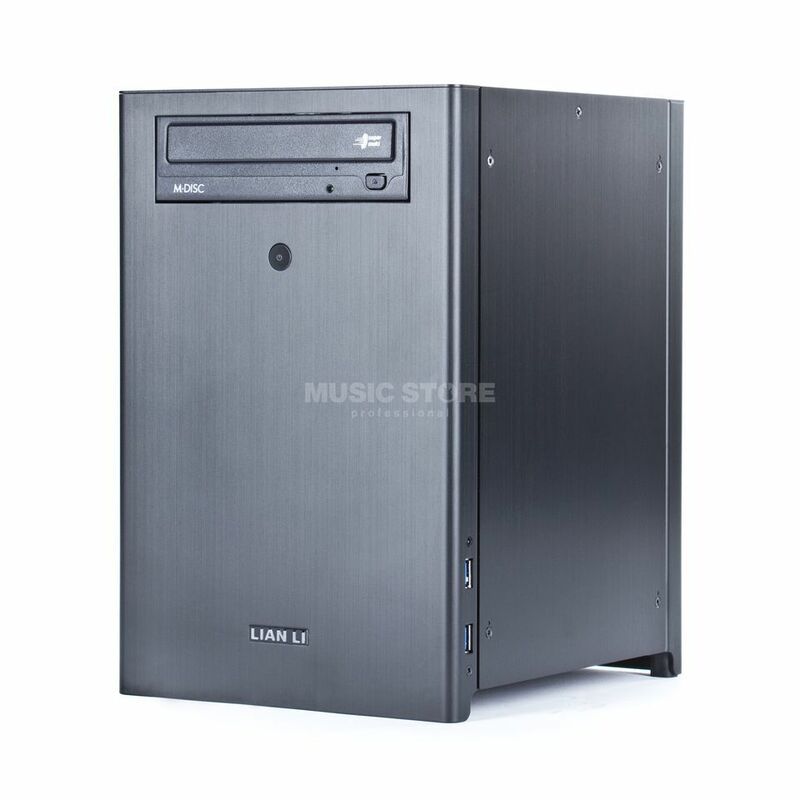 The Audio PC Cube 2016 is THE high performance computer with an especially simple and high-quality design. It comes with a black aluminium case which hides current computer technology. The PC is very quiet even if it is under pressure and right next to you. This small Audio PC was made by our PC- and Recording-specialists that optimized it for Audio Applications of every kind. It supports every production with much power and it is expandable with a commercially PCIe expansioncard (for example DSP card by Universal Audio) to adjust the power to your current production environment. Our specialists can of course install and integrate your currently at Music Store bought Software or PCIe card in your Audio PC Cube. Without any additional costs. !!!! 3 Years Music Store Warranty !! !